In Olympian Ryan Hall’s new book, Run the Mile You’re In, he provides valuable insight into his experiences as a collegiate and professional runner and how his family, faith and fearlessness have shaped his career and his life since retirement. In the following chapter he gives a rundown about one of his most famous performances—the 2007 Houston Half Marathon—where he broke the U.S. half-marathon record and learned some valuable lessons about mental toughness. “Be bold” were Sara’s last words to me before I took to the track in the 5,000-meters at the US National Track and Field Championships in 2005. It was just weeks after I had finished my collegiate career at Stanford, and I was competing against the best professional athletes in the nation. I had never made a world championship team—or even been close to qualifying for one—but I was coming off a collegiate national championship at that distance just a few weeks prior at NCAAs. This advice was exactly what I needed to hear before the race. When the gun fired, the top-seeded runner, Tim Broe, took off and quickly opened up a gap on everyone else. It was clear that Tim wanted to run fast, but no one else was willing to go with him. Our chase group stayed about twenty meters back for the first couple of laps until Sara’s words popped into my mind: “Be bold.” I accelerated hard, and my teammate Ian Dobson also went with me. We were able to catch up to Tim and work together to maintain the gap over the chase group, which earned all three of us spots on the world championship team. That race ended up being the fastest 5,000 meters I would ever run (13:16, finishing third), but it never would have happened had I not taken the advice to be bold. Looking back at my career, I think it was my fearlessness that set me apart as a runner. In a time when runners of European descent were usually afraid to mix it up with the East Africans who were dominating the marathon, I wasn’t afraid to run with the best guys in the world for a number of reasons, one of which was that I was okay with failure. After God helped me sort out how I saw myself—back when I took a break from Stanford during my sophomore year—I felt freed to take big risks, because my performances no longer defined my worth. I realized that my worth came from how God saw me, not from how I performed. Coupled with having a secure identity was the vision God had given me for my running. Strong vision plus a secure identity allows you to risk everything without the fear of failure. It’s a potent combination. Now, I do need to say that taking risks didn’t always mean success for me. Sometimes taking a risk resulted in my blowing up and failing miserably. But one thing I know for sure, not one of the best performances of my career would have happened had I not taken a big risk. In 2006, I was experimenting with longer races. I ran my first race longer than 12K at the USATF 20K Championships in New Haven, and then a few months later ran another at the World Road Running Championships in Debrecen, Hungary. Both of those 20Ks went well—I earned a national title in the first race and finished eleventh at the World Championship in a new American record. I continued to move up in distances and eventually began training for my first marathon. I loved the challenge of running longer than I’d ever run before. I would lie in bed at night and feel my calves throbbing from the extra miles—and I loved the sensation. My body was responding better to training than it had ever responded before, perhaps because I was introducing a new stimulus. I was getting fitter with each week. My coach, Terrence Mahon, and I decided that I would run my first ever half marathon in Houston in January of 2007. We agreed that if the half went well, I would debut in the marathon later that spring in Los Angeles. At that time, my training was geared more toward the marathon than the half marathon, so I didn’t taper a whole lot prior to Houston. Despite that, my legs felt the best they had ever felt—or would ever feel in my entire career. Sara and I drove from Mammoth Lakes to my hometown to spend a few nights in Big Bear before heading to Houston. Unfortunately, the night before we left for Houston, Big Bear got hit by a massive snowstorm. I went for a run in about a foot of fresh powder the morning we were supposed to leave, a mere two days before the race. Running in snow usually left me feeling sluggish and heavy legged, yet even with my feet sinking with each step, my legs felt light and bouncy. I was amazed! I knew something special could happen in Houston, but first I had to get there. I put chains on our tires before we left Big Bear and started the treacherous, windy drive on icy roads down the mountain to the Ontario airport. We didn’t make it far before we found ourselves sliding out of control into a ditch. I’d been nervous that the slow drive was going to make us miss our flight, so my stress level was already high. When we slid off the road, I punched the steering wheel as hard as I could in frustration—not exactly the calm and collected version of myself I was hoping to be before the race. Luckily, someone stopped and towed us out of the ditch and we were on our way again. We drove a few more miles before getting to the CHP officer, who informed us that all roads out of Big Bear had been closed. At this point, my stress consumed me. I wasn’t sure I’d make the race at all, and I figured that even if I did, my race would be shot thanks to the stress. I called my agent and we rebooked our flight for the following day. Traveling the day before the race wasn’t our normal practice, and it isn’t ideal for racing, but it was our only choice. We waited out the storm for a few hours at a little roadside diner halfway down the mountain until the roads had been cleared enough to reopen, and I tried to gather myself emotionally. I finally arrived in Houston the next day with just enough daylight remaining to drive the course with my coach and then eat a pasta dinner. I wasn’t able to sleep well that night, not because I was nervous but because I had a terrible headache. Sara massaged my temples and hands to relieve the pain, and eventually I dozed for a few hours. This might have been the worst lead-up to a race I’d had in my career. I’d like to say that during the night I had an encounter with God and He melted the stress away and gave me peace in the storm, but that wouldn’t necessarily be true. What I was feeling, more than anything, was that something big was about to happen and that God was protecting me from the enemy, who was trying to stop it. It felt like I was in the middle of a war but not being wounded by the enemy’s weapons. The morning of the race, I used a ballpoint pen to write two potential pace charts on my hand, with each chart telling me what time I needed to cross each mile of the race to run a given race time. My coach and I figured that if I had an “A” day, I could get under the American record (Mark Curp’s twenty-two-year-old time of 60:55), requiring me to run 4:37 per mile. In theory, I wasn’t supposed to go out faster than a 4:37 pace. There was also a slower pace chart in case I was having a “B” day, which would be around 4:40 per mile, a solid debut time for the half marathon, but not an American record. When the race started, I went straight to the front and found a comfortable rhythm. This was prior to the era of GPS watches, so I had no idea how fast I was running. I just tried to picture myself in training, running at a level of effort I felt I could sustain for an hour. People often ask me how to find the proper pace to race. I found that when I was training, I would visualize myself in the race to prepare my mind for what I wanted to do, but when I was in the actual race, I visualized being in practice. This may seem odd, but my reasoning was that I needed to be able to determine what level of effort I could maintain for each distance. During the race, when I was fresh from tapering my training and adrenaline was kicking in, rather than rely on my watch to tell me what pace I should run, I could go into my mind’s eye and ask, “If I were running this effort in practice, could I maintain it for this race distance?” I found this to be the best way to find the right pace because sometimes things are clicking and you don’t want your watch or your mind to hold you back. Conversely, sometimes things aren’t clicking and you shouldn’t be running as fast as you think you should be. My first mile at Houston was 4:37, right on pace for an A day, but it felt too easy. Despite being all alone at the front and not needing to run any faster, I decided to risk putting my foot on the gas a little more. I was surprised when I reached the two-mile mark and saw that my pace had gotten significantly faster, down to a 4:32 mile. At that point, I could have gotten either excited that I was well ahead of schedule or fearful that I was going to blow up because I’d gone out too hard. Usually, the advice for running a half or full marathon is “don’t go out too hard,” so fear can be a natural reaction when your splits are ahead of schedule. But I always remember Jim Ryun saying that when he arrived at the end of a lap of a mile race and his pace was faster than scheduled, he chose to see being ahead of schedule as a positive. So I decided to be excited rather than fearful, and when I got excited, I picked up the pace without realizing it. When I arrived at the third mile, I checked my watch and was even more surprised to see 4:28, a pace I had not even imagined running. Looking back at the Houston Half Marathon, I still don’t fully understand how it happened. There is no way—especially considering the crazy travel and stress I endured the few days before the race and the fact that I was in the middle of a hard block of marathon training, which should have left my legs feeling fatigued—that I should have been running as fast as I was. I led the race from start to finish, and the only real trouble I had was at mile ten, when my stomach turned and I wondered if it was going to cause problems. I immediately started praying, and shortly thereafter the pain was gone. Many athletes reflect on their greatest performances and comment, “It was the easiest race I ever ran.” I would echo that, because I never felt like I had to dig deep, push harder than ever before, or endure more pain than I was previously able. It was the most enjoyable and least painful race I ever ran. I didn’t hit the wall in those last few miles. I felt like I wanted to run another half marathon. I’m still curious what my marathon time would have been had I kept going. Once I was close enough to the finishing line to see the clock read 59:43, I pumped my fist in excitement and let out a yell—very uncharacteristic of me, but I couldn’t contain myself. That moment was a dream come true—running not just the best time ever by an American but also a time competitive with the best guys in the world. And the best part of the race for me was that my parents, wife, and coach got to ride in the lead vehicle and watch the race unfold. They were able to partake in my greatest performance, which felt so right, because they had been with me on a journey that never would have happened without them. It also wouldn’t have happened had I let the fear of going out faster than expected trump the boldness of taking a big risk. Playing it conservatively isn’t the opposite of risk. Fear is. Only if we can live without fear can we perform at our very best. Fear has always made me feel heavy and tight. Whenever I was running out of fear, I felt locked up, and nothing good ever came from it. I knew I needed to overcome fear, and I did it by discovering who I was and learning where my value came from apart from running. This is another reason experiencing failure can be so important—it breaks the fear associated with it. Throughout my career, I would be on the starting line repeating the words “be bold” under my breath as I waited for the gun. I’m so glad that running boldly became part of who I was, because I never would have discovered my potential without it. 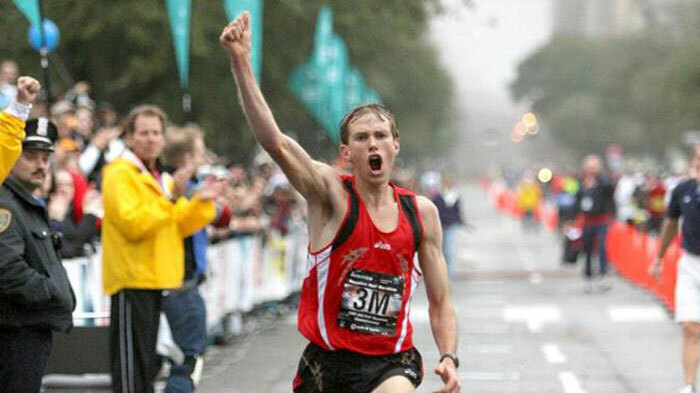 Ryan Hall is the American Record holder for the half marathon (59:43) and has the fastest marathon time ever run by an American, with a PR of 2:04:58. He represented the United States of America at the 2008 and 2012 Olympic Games in the marathon. 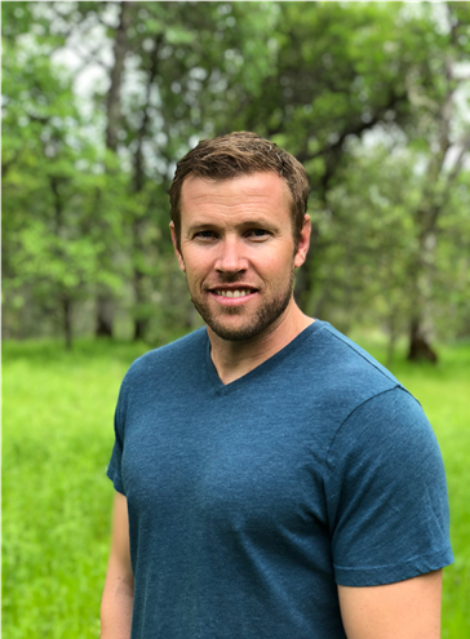 Ryan is a coach and speaker and lives in Flagstaff, Ariz., with his wife Sara and their four adopted daughters from Ethiopia. You can learn more about Ryan and Sarah Hall at https://ryanandsarahall.com/.